Toledo, on the river Tagus, the capital of Castile, Spain. fol. 286v: Giac Master. 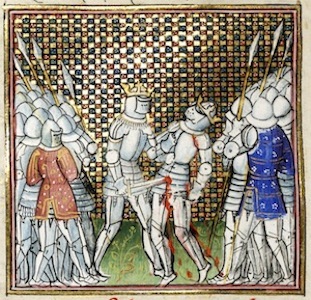 Having lost the support of the prince of Wales and Aquitaine, Pedro of Castille was captured at the battle of Montiel and handed over to his rival Enrico of Trastámara. 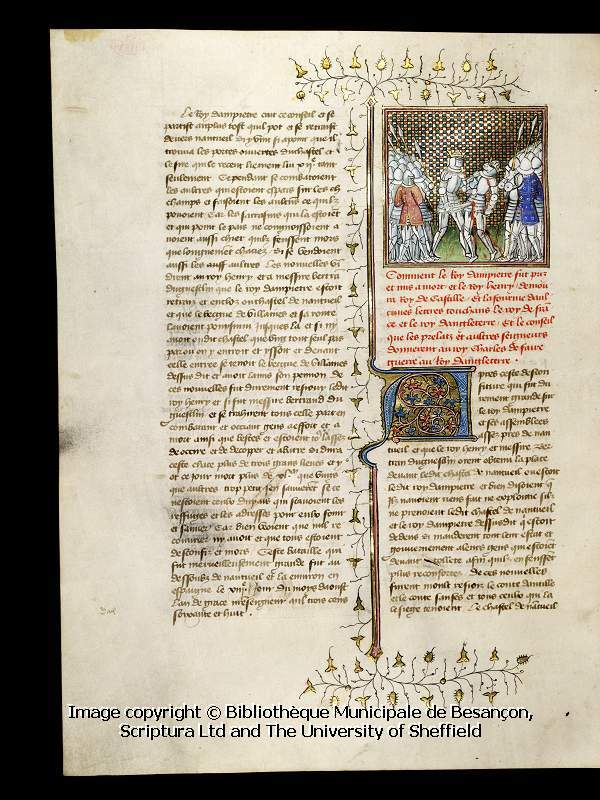 The Giac Master does not conceal the brutality of the fate met by Pedro, assassinated by Enrico of Trastámara on 23 March 1369 in Du Guesclin’s tent, a few days after the battle of Montiel. Enrico’s sword seems to have found a weak point between the plates protecting Pedro’s stomach.